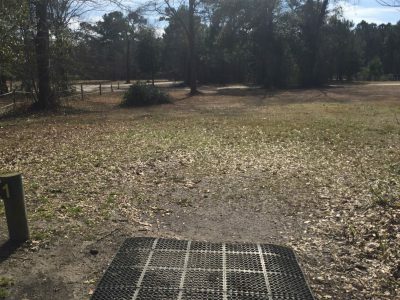 There are a variety of different teepad options you can use. 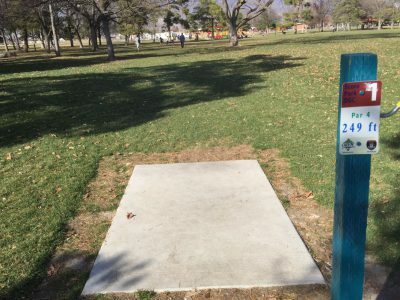 The main goal of a teepad is to create a flat area where the player can make consistent throws without having to worry about footing. For a professional, permanent course, concrete is the preferred choice. 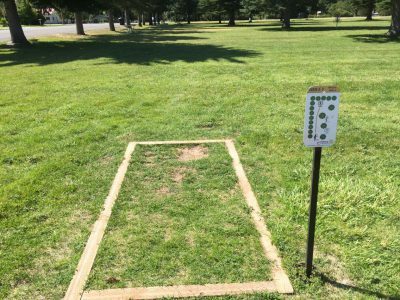 While small concrete areas work for short holes and beginner courses, for a tournament course, teepads that are at least 5 feet wide and 14 feet long are preferred. 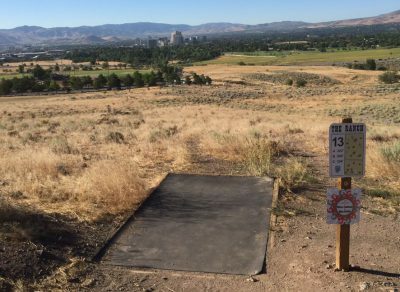 For long holes, teepads should always provide sufficient room for a player to use a four step run up. 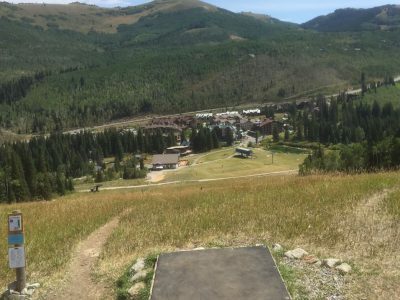 For heavily used courses, the area around the edge of the concrete will usually get worn disc golf wear. 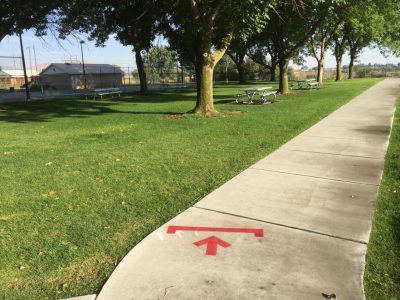 Some courses utilize existing sidewalks and pathways to create tee areas. 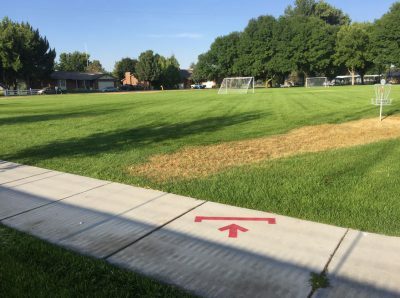 If using existing sidewalks, we do not recommend a horizontal alignment where players do not have room for a run up. Dirt – Dirt is a simple method of teepad and most people don’t mind it as long as it is flat and not muddy. Grass – Flat grass paths also make adequate teepads. 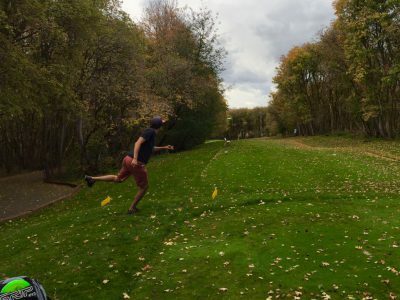 The big disadvantage of Grass Teepads is that if the course is heavily used, the grass will quickly wear. Rubber Pads – Rubber teepads provide an affordable way to offer a consistent throwing surface.